Its begining to look a lot like Christmas!!! I have been knee deep in Christmas bins. trying to get Christmas up around the house before December is OVER! Yikes. But Decking the house is something I really enjoy and really is the BEST part of my season. If you don't know by now...I really have a things for Pillows. They are definally my transitional item that I switch out with each season. My friends over at Peter Pyper gave me a few to try out HERE I am excited for the ones they gave me to add to my Christmas Decor! The line of pillows they offer are so affordable, great quality adds that extra punch and flair to my already existing pillows. 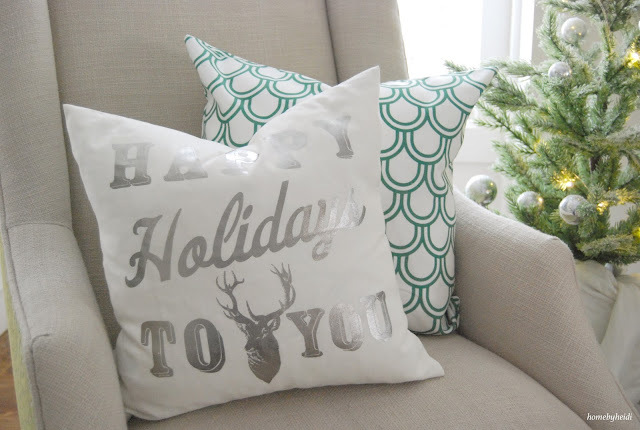 Its is fun to add a colorful pillow when the price point is so great! Take a look at the different patterns in green! I am drolling over the fish scale one! I also ADORE this green and white stripe Pillow. 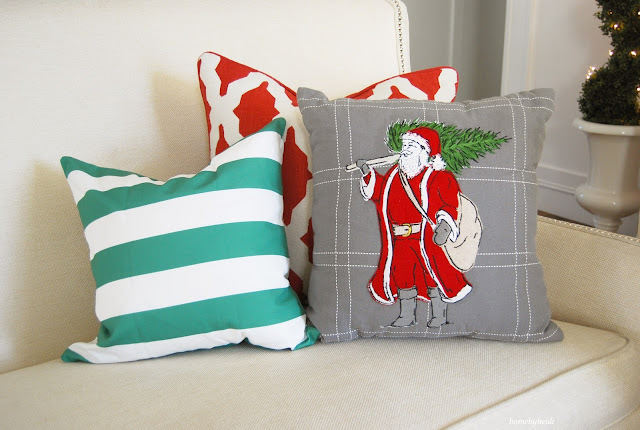 The Santa and red pillows are one I have had for years. 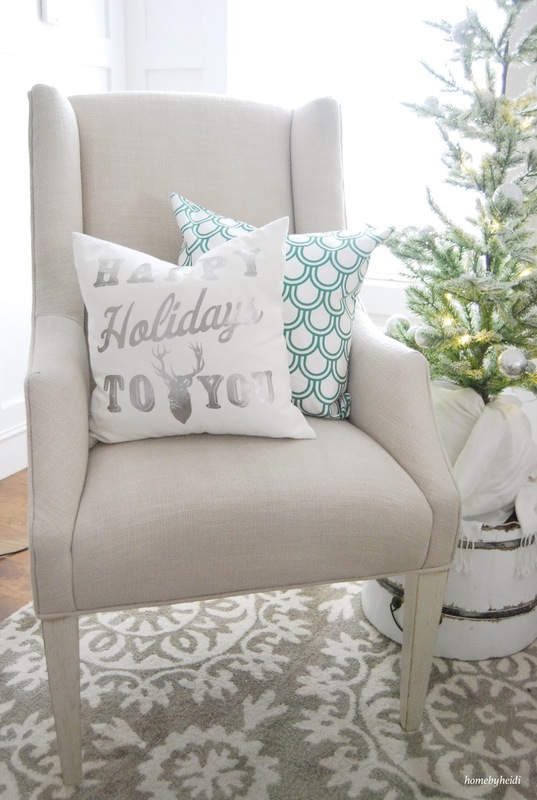 Right now over at Peter Pyer PILLOWS are 50% off so grab your today! Heidi, your Christmas decor is beautiful!! Especially love your snowy tree and the rail garland! Would love to know how you put together the garland! ?